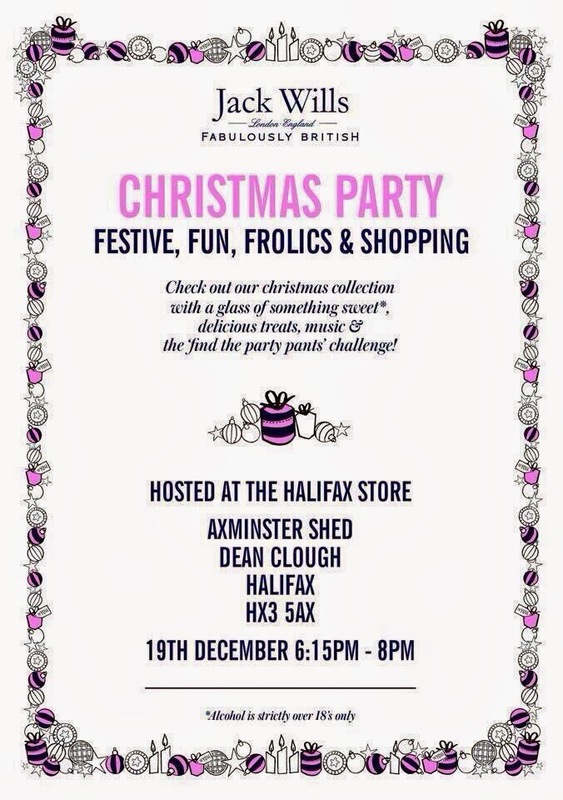 Jack Wills Halifax Christmas Party! It’s starting to get all festive around lately from reception desks to the tree being put up at home yet, although as you may have guested by the title there is a pink and blue element to the festive frolics of partying in celebration of Christmas. Ever since the Pink and Blue stripes of Jack Wills opened its doors in Halifax back in August 2012 the stores journey has been magnificent! Myself has been really lucky to work with the store (at first I was just a customer and still is) on their brand awareness and stock offers to events (see what we have been up to here) yet, it’s that time again for the store to open its doors for its Christmas party! Celebrate in style with the many offers on clothing to accessories amongst, enjoying live entertainment and refreshments. Last thing on the list is that I’ll be there doing what a blogger does best through tweeting, instagraming, and of course there will be a blog post to round up the night. Tweet @jackwills or @JW_Outlet with hashtag #JWHalifax. See more information where the store is located.